We offer two frame options with most of our resin grills. 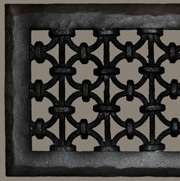 Flat frame offers a simple, contemporary look and is available with all resin grills except for Iron Ring. 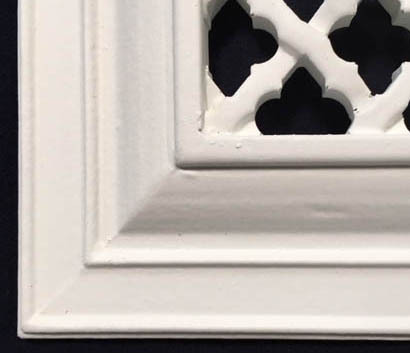 Picture frame offers a more traditional look and is available with all resin grills except for Iron Ring and French Quarter.